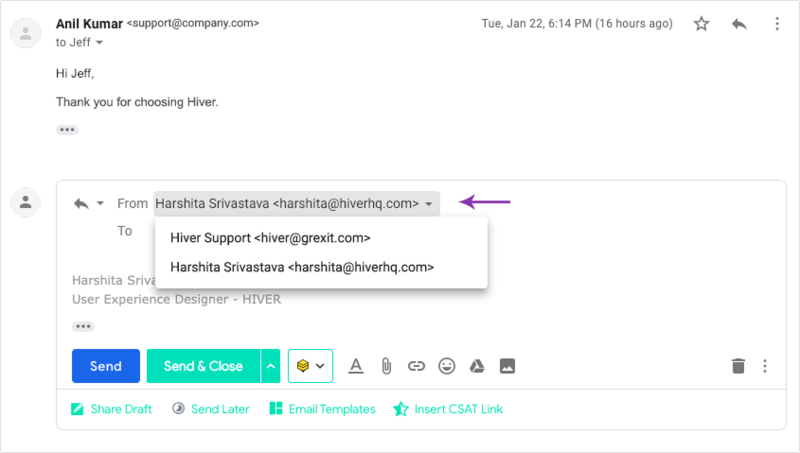 You can reply and compose new emails in your Shared Mailbox by using your personal email address as well as the email address of the Shared Mailbox. Enable the option 'Auto select Shared Mailbox email id on Compose'. Even in case you have not set it as default, you can still send emails with the Shared Mailbox id as the Sender's id. To do so click on the FROM dropdown to select the Shared Mailbox email address. In this case, as soon as you are added to the Shared Mailbox, Hiver will automatically do the 'Send As' setup for you. 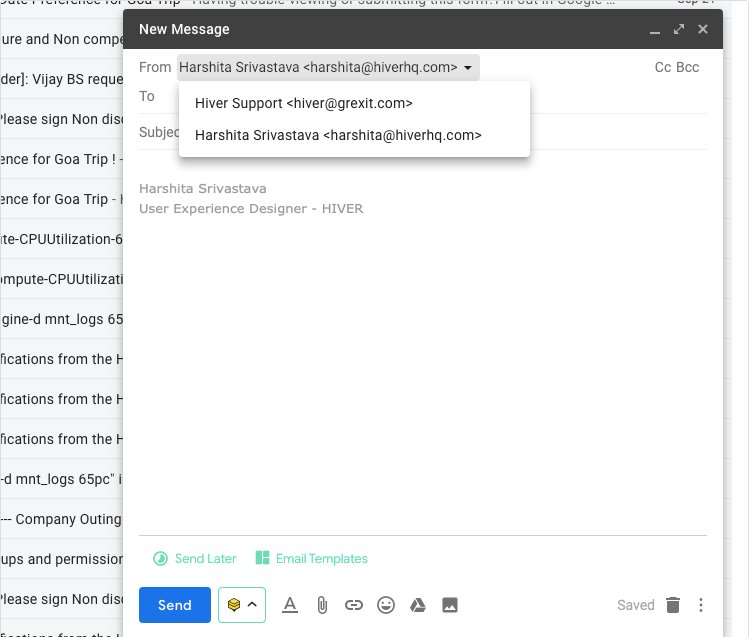 You can start using the Send As feature right away as is shown in the first screenshot. In this case, you will have to do a one-time setup to use the Gmail's 'Send As' feature. The setup has to be done by all the users of the Shared Mailbox. Locate the message from Gmail. Open it and either click the link contained in the message or enter the confirmation code in the Accounts section of your Google Apps email settings. Additionally, you can also set up your Gmail to send emails from the same account in which they were received. To do this, go to the Accounts tab in your Gmail, and switch on the option to do this. Outgoing email sent using the Shared Mailbox email address will automatically get added to the Shared Mailbox as Unassigned and Closed. Click on the 'General' tab and find the 'Signature' option.